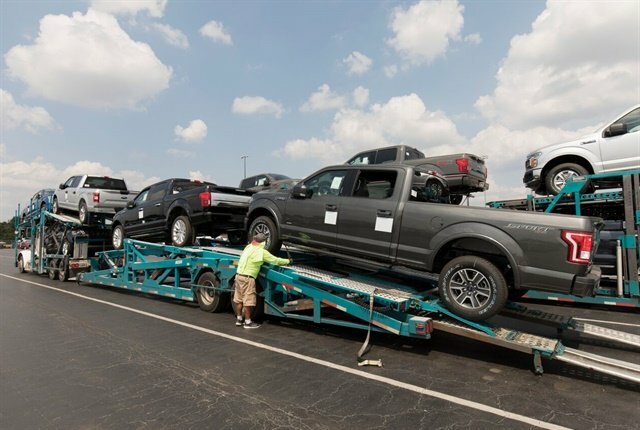 Photo of replacement rental vehicles being transported to the Houston area courtesy of Enterprise Holdings. When added to the damage inflicted by Hurricane Harvey in southeastern Texas, Smoke estimates that as many as 1 million vehicles will need to be replaced as a result of the two storms. Much of Hurricane Irma's damage came in the southwest Florida, including the Florida Keys, Fort Myers, and Tampa. Commercial fleets likely suffered the brunt of the storm's impact, as larger rental operators mostly moved their vehicles into parking garages to protect them from the wind and rain. "We were able to move most of the units to cover and they weren't damaged or flooded out," said Lisa Martini, an Enterprise spokesperson. "That made a big difference for us." Hertz also saw minimal damage to its rental fleet in Florida, said Karen Drake, a spokesperson for Hertz Holdings. Enterprise has reopened most of its Florida offices, except for those in Naples and Key West, where it operates airport rental facilities at Key West International Airport and Florida Keys Marathon Airport. Enterprise plans to reopen its Naples location on Thursday. Unlike Hurricane Harvey, which caused heavy flooding, Hurricane Irma damaged vehicles with high-speed winds and heavy rainfall. And the storm's move north along the Gulf Coast side of the state likely resulted in a lesser impact on commercial vehicles, said Jonathan Smoke, Cox Automotive's chief economist. "Hopefully with the significant preparation time, the losses will be to the low end of the range," Smoke said. "The westward track helped to avoid more damage in Orlando, which is home to more than a third of the total fleet in Florida." Vehicles in Georgia, Alabama, and South Carolina saw only a "small amount of damage," Smoke said. In Texas, Hurricane Harvey likely damaged between 320,000 and 580,000 vehicles with fleet making up between 12,000 and 21,500 units. Enterprise Holdings reported it had lost 3,000 rental vehicles, while Hertz reported a loss of 500 units in Texas. Rental operators began shipping thousands of units into Texas following the storm to meet demand for insurance replacement vehicles. Enterprise sent 17,000 vehicles to the state, the company announced.